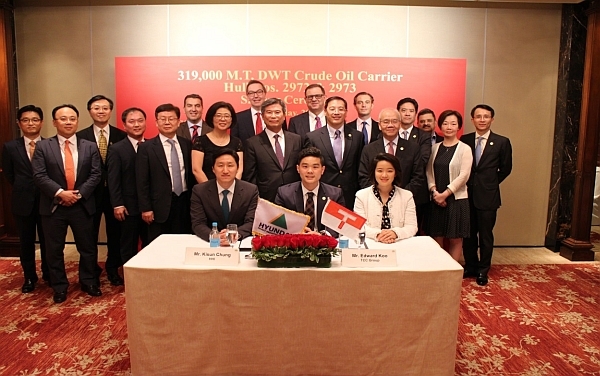 TCC and Hyundai Heavy Industries Co., Ltd. (HHI) have signed shipbuilding contracts for building of two units of 319,000 dwt Very Large Crude Carriers (VLCCs) bearing Hull Nos. H2972 and H2973 at a signing ceremony held in Hong Kong on 11th May 2017. 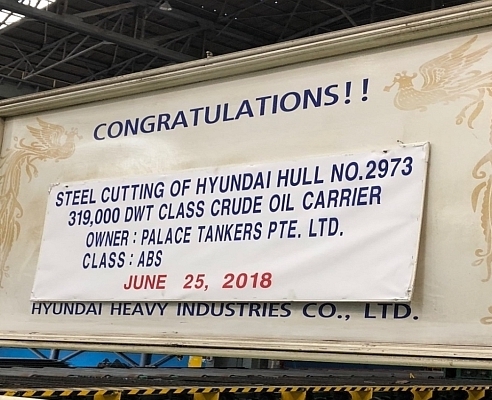 Keel laying of H2972 and steel cutting for H2973 took place on 25th June 2018 at HHI shipyard in Ulsan, Korea. 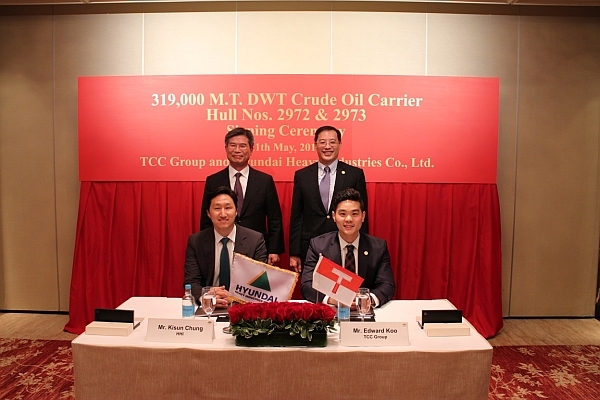 The newbuilding forms part of TCC’s regular fleet renewal program to expand our business exposure to tanker sector, and confirms our strategy to solidify relations with HHI. 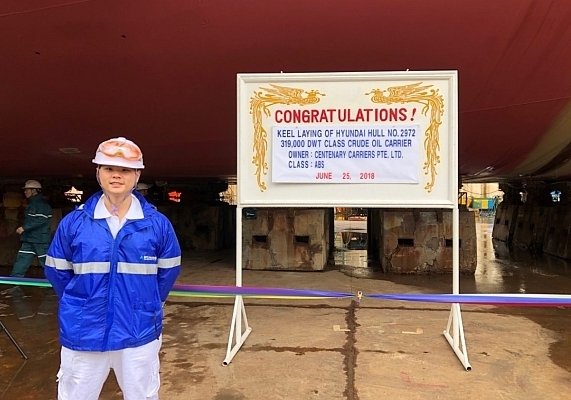 H2972 and H2973 are intended to be named as “KHK Empress” and “KHK Majesty” respectively, and scheduled for delivery to TCC in the first half of 2019. Upon delivery, the new vessels will commence their time charters to BP for three to five years, which signifies our long term on-going cooperation with BP. BP is currently taking on time charters with our two new Aframaxes “KWK Excelsus” and “CSK Vanguard” built in 2016, as well as the new Aframax “CSK Endeavour” built in 2017.